With the recent increase in motorcycle accidents in Denver, the last thing you or any other rider should be is unprepared. You may already know about the dangers you face when you are on the road with other motorists. But you may not understand why you are at a substantially higher risk for brain injuries if you are in an accident. Take some time to learn how brain injuries from motorcycle accidents can change your life so you can take measures to reduce your risk of receiving them. Your brain is a very fragile organ surrounded by your skull for protection. When you are riding on your motorcycle without a helmet, the only protection your brain has from impact and penetrating objects is your skull. That is not enough cushion to protect it. When you fall off your bike or crash into another vehicle or object, the force of the collision is enough to whip your head, neck and body back and forth in abnormal ways. There is also the possibility that you may forcefully hit your head on an object, have items fall onto your head, forcing your brain to smash onto your skull, damaging the blood vessels and soft tissues inside. Brain injuries range in seriousness. They can be so mild that the only symptoms you experience are shock, a mild concussion and short-term memory loss, disability, or nerve damage. Brain injuries can also be severe and traumatic. Signs of traumatic brain injuries include nerve damage, long-term memory loss, personality changes, long-term disability, organ failure, loss of cognitive functions and death. It is not uncommon for traumatic brain injury victims to need ongoing care and support from their friends, family and medical professionals for the rest of their lives. As a biker, you do not have much of the protections that passenger vehicle operators have. However, wearing a helmet and safety clothing can reduce your risk of brain injuries and help to protect your spinal cord from damage as well. You cannot predict the date and time where you may end up a victim of a car accident. But if you are wearing a helmet and safety gear when it happens, your chances of surviving without a serious brain injury are much higher. Colorado motorcyclists are likely aware that riding their choice of vehicles can be particularly dangerous, especially if they fail to wear all of their safety gear. However, safety gear is bulky and sometimes uncomfortable. As such, some motorcyclists decide to stop wearing certain pieces of gear even though it puts them at risk. The Centers for Disease Control and Prevention studied the cases of more than 1.2 million motorcyclists who were treated in emergency rooms across the U.S. between 2001 and 2008 after they were involved in nonfatal motorcycle accidents. According to the CDC, 30 percent of all nonfatal motorcycle injuries occurred to the legs and feet. Twenty-two percent of nonfatal motorcycle accident injuries occurred to the head and neck. The number of injuries in the upper trunk, the arms and hands and the lower trunk followed. A study by the Advancement of Automotive Medicine showed that those who wore helmets had a greater number of less severe injuries and a lower number of severe injuries. When it comes to fatal accidents, data from the National Highway Traffic Safety Administration showed that the number of head injuries resulting in a fatality were lower in riders who were wearing helmets than riders who were not wearing helmets when the accident occurred. Some distracted drivers in passenger cars may fail to notice the motorcyclists who may be sharing the roadway with them. This could cause a driver to swerve into a motorcyclist or rear-end a bike, resulting in a serious motorcycle accident. Any injuries that are suffered by a motorcyclist could be considered life-threatening or may even be life-altering. If a distracted driver was found to be liable for the crash, a personal injury attorney can often assist in seeking appropriate compensation. Whether you’re cruising through Denver’s city streets or making your way up I-70 for a ride into the Rockies, you face unique dangers and hazards on a motorcycle that those driving in passenger vehicles may not. 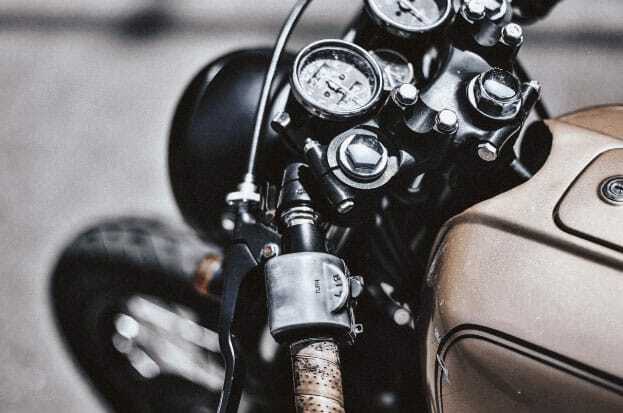 Because there is so little protecting you, should you take a fall, the injuries you may suffer in a motorcycle crash often outweigh those suffered in traditional car crashes in terms of severity. Per RideApart.com, alcohol is a factor in about half of all bike wrecks. You face enhanced dangers if you imbibe before getting out on your bike, but you also face risks posed by other potentially impaired drivers who may be less likely to see you or react quickly enough to avoid striking you. The best way to avoid an accident caused by a car turning left ahead of you, which is the single-most common cause of motorcycle accidents, is to try and anticipate the actions of other motorists as much as you can. Assume that other motorists may face distractions, or that you are in their blind spot, and proceed with extreme caution to minimize your chance of suffering injury in such an accident. Because you can prove harder to see on your bike, many motorcycle crashes and fatalities are the result of cars changing lanes and striking motorcycles who are already in them. Most drivers simply do not anticipate motorcycles around them in the same way they do other cars, and this often has deadly ramifications. To reduce your risk of an accident with a car maneuvering between lanes, first, stay vigilant and try to avoid traveling in blind spots. If you are not sure where those blind spots are, here is a good rule of thumb: look in the side-view mirrors. If you cannot see the motorist’s eyes, odds are, the driver cannot see you, either. It is the time of year when many Coloradans and visitors are taking to the roadways on bikes, so recognize the unique hazards you face in doing so to improve your chances of staying safe.